Ms. Puccio was diagnosed with celiac disease in 2012. She began writing articles on The Huffington Post under the pen name Celia Kaye, which chronicle her experiences with and management of the disease. 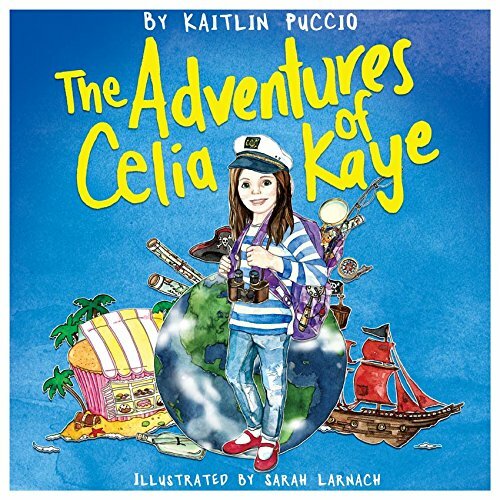 For The Adventures of Celia Kaye, Puccio created the young alter-ego to give children someone facing the challenges of celiac disease and the many fears that go with it, including being ridiculed throughout the school day. In addition to writing as and about Celia Kaye, she founded CeliaKaye.com, a website dedicated to helping cut through the sea of information – and misinformation – about living a full and flourishing gluten-free life. 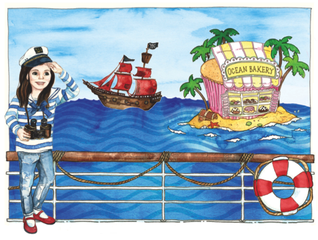 When Kaitlin Puccio learned she had celiac disease her entire life changed. As she researched details about the condition, she discovered that it was difficult to access credible, comprehensive, and comprehensible information. She resolved to use her passion and creativity to help the millions of others who struggle with gluten intolerance—or any food allergy—every day, particularly young people who can feel shameful of their condition and who face challenges each day at school during lunch.